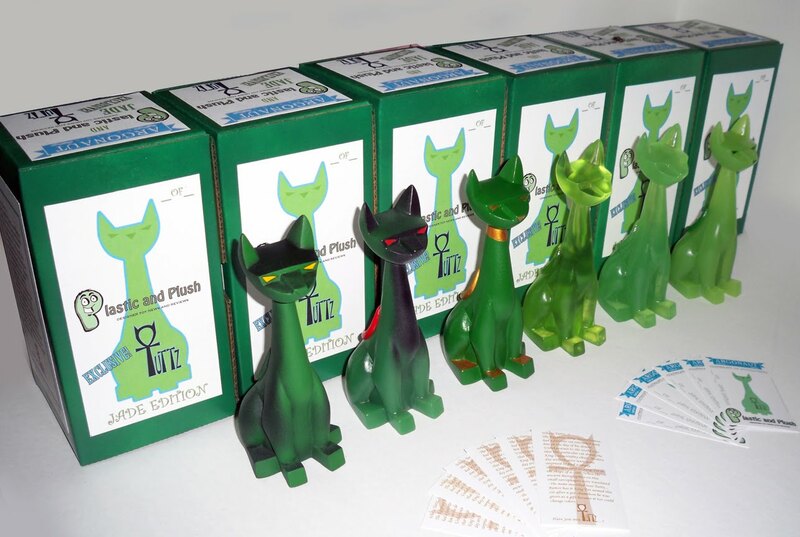 Plastic and Plush is an excellent toy blog- if you don't already read P&P, I highly recommend it. I regularly check P&P along with SpankyStokes, TRE, VP & AFT (and many others!) for my toy news. P&P is one of the lucky few of us who were able to secure exclusive colorways of Argonauts Resins Tuttz sculpt. 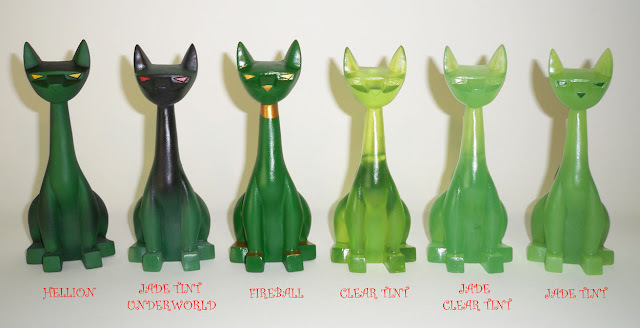 Wave 2 of P&P's green-themed exclusive figures features 6 new Tuttz resins: Hellion, Jade Tint Underworld, Fireball, Clear Tint, Jade Clear Tint, and Jade Tint. These will be made available for sale on next Thursday August 12th 2010 at 8PM EST. They'll be packaged blindbox style this time around. 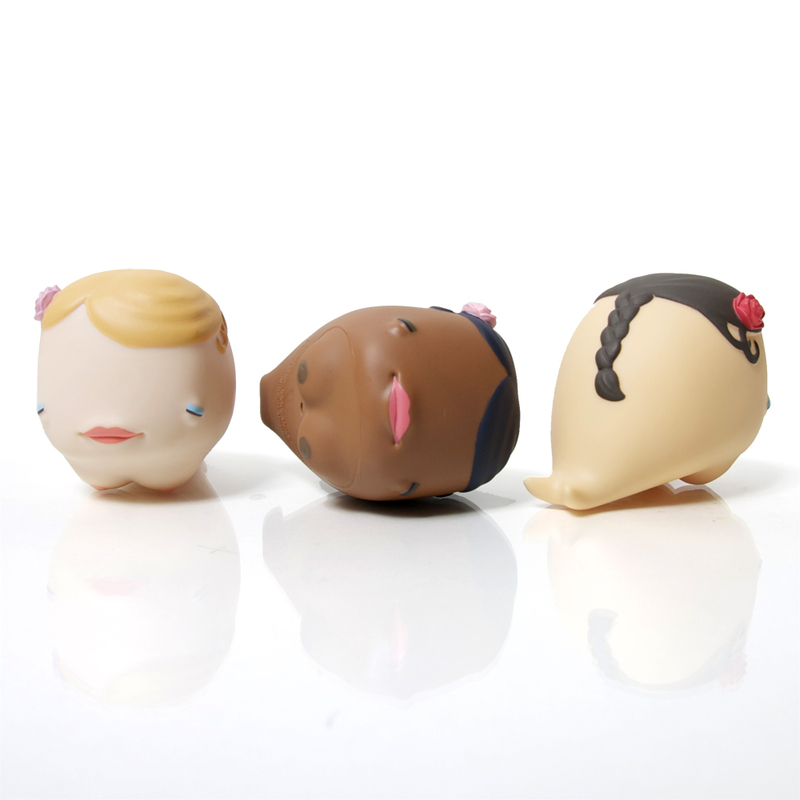 And you can pick one up for $55.00 plus $10 shipping US ($20 international shipping) in the PlasticandPlush shop. This will be the last of the Jade exclusives. The warrior code, mysterious as it is dangerous, has exisited for thousands of years. One select group of warriors took that code to greater levels and had rich history of their exploits flourish around the globe...The Samurai. 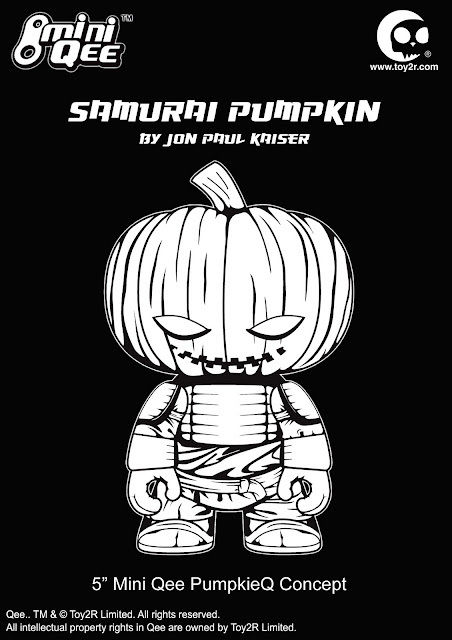 Toy2R is proud to announce the development and release of Jon-Paul Kaiser's 5 Inch Samurai Pumpkin Qee. This new scale of Qee is the first in a new series of 5 inch Qees coming soon from Toy2R. With the fall holiday approaching and the dark, and the secretive nature of the Samurai, Toy2R thought it best to launch the series with a warrior perfectly suited for a mission as important as this. 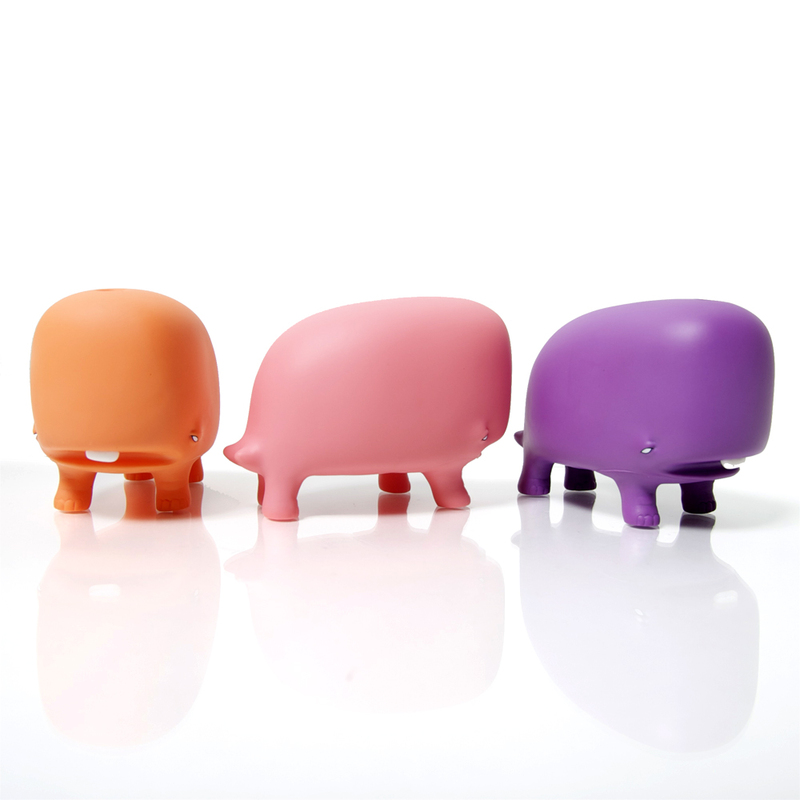 Each 5" Mini Qee will come packaged in a window box, designed by Jon-Paul Kaiser, to show off the beauty of his design. Landing next month, the Samurai Pumpkin Qee will be availble here at Tenacious Toys. Stay tuned for more info like pricing & arrival dates. The second stop on the worldwide journey of JPK & Toy2R....come along, if you dare. Toy2R 2.5-inch Qee Artist Series 6 checklist of figures (located on the awesome Collect3d site), their ratios and the artists that created them! Our cases of Artist Series 6 Qees is on the way to us now, keep a close eye on our Qee section where we'll be selling these open-box. Upper Playground has teamed up with Japan’s Good Smile Company to become the official distributor for David Choe’s “Munko” Vinyl Figures. 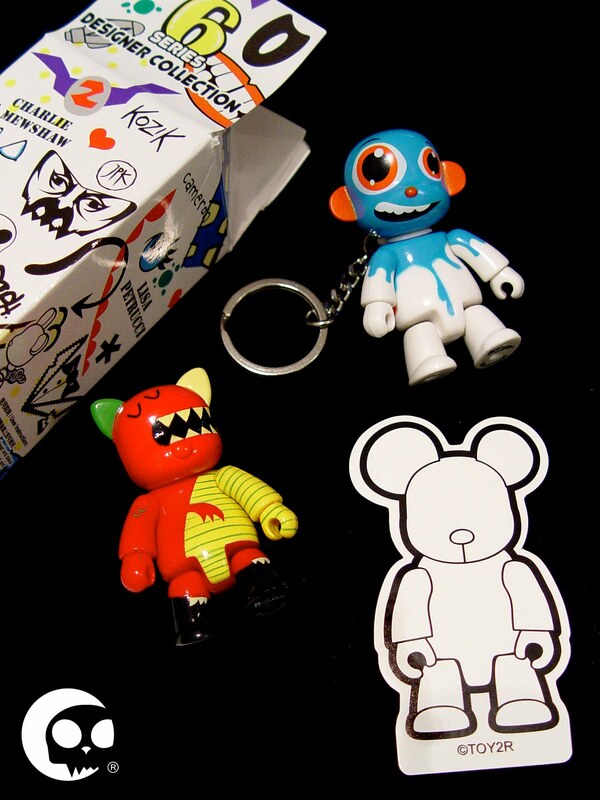 The toys were initially seen as simple sketches on David's blog, and now following the premiere of the physical Munko toys at San Diego Comic Con in Giant Robot's booth, Upper Playground is the exclusive wholesaler and distributor for the line of figures. Upper Playground has continually been impressed not only by Good Smile Company's detail and intricacy in their vinyl figures, but also by the innovativeness of their other ventures, and are very excited to begin this partnership between their companies. The "Munko" line of figures comes in three unique sculpts: Munko, Munkosaur, and Munkette. 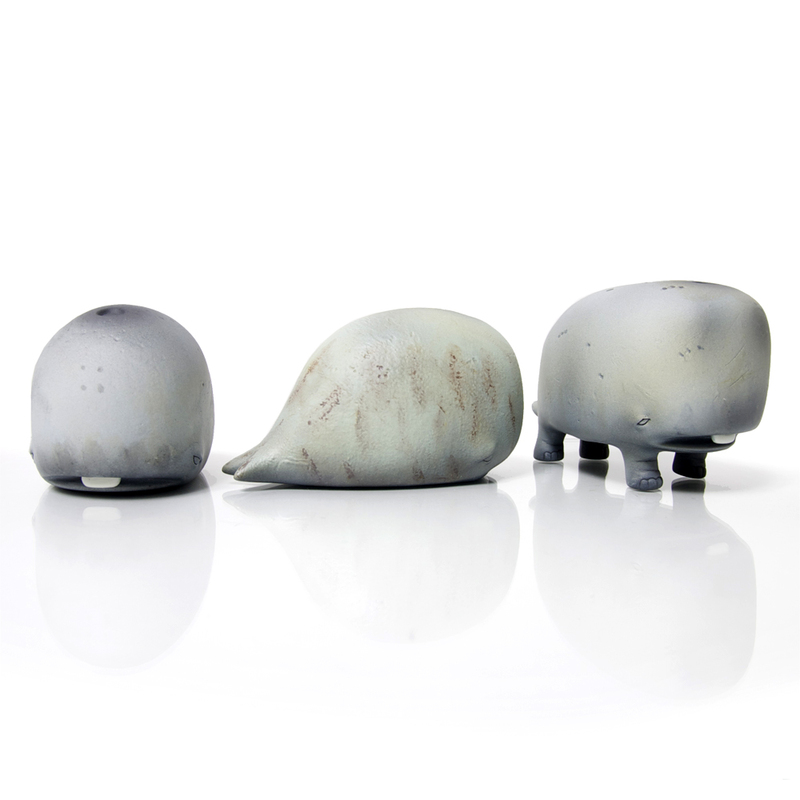 Munko, is offered in 3 colors and 2 extremely realistic textures. Munkosaur comes in 3 color ways with one in a concrete texture. 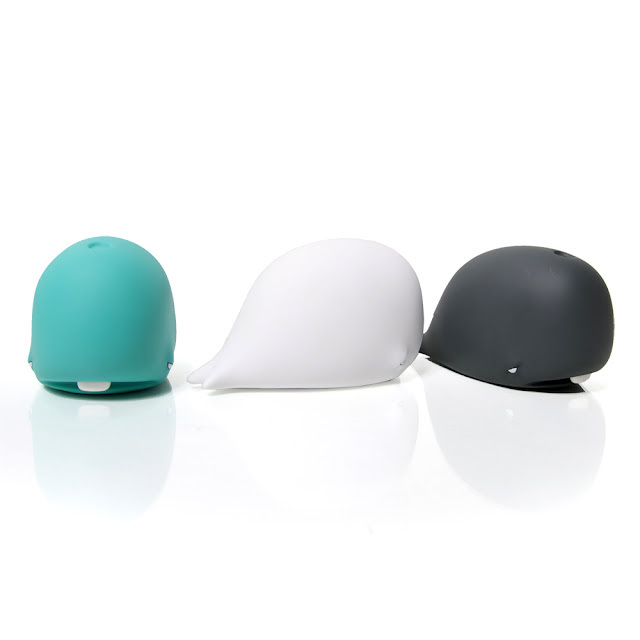 And Munkette (above) comes in 3 unique color ways. 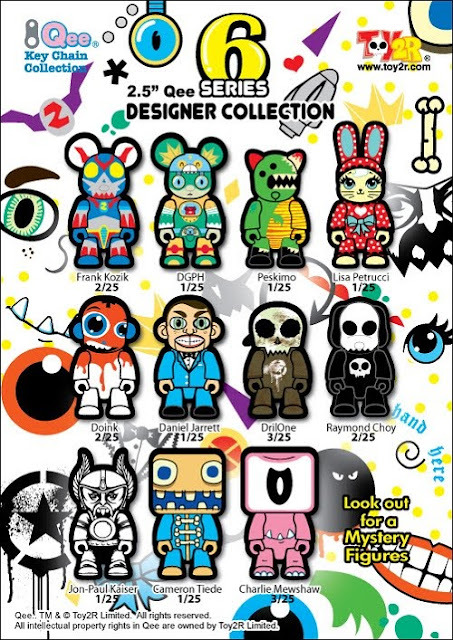 The figures are available in a set of all 12 toys and individually by blind-box. We can get them so please email us if you are interested! Based in San Francisco, CA, Upper Playground is the leader in today’s progressive art movement with its innovative apparel and accessories line and art galleries. Since 1999, Upper Playground has been recognized as a catalyst for the fusion of fashion with fine art. UP apparel and accessories are designed by local and international artists including Sam Flores, Jeremy Fish, Estevan Oriol, David Choe, and Alex Pardee. The Upper Playground collection is sold in over 300 boutiques worldwide and online. In addition, Upper Playground has stores and galleries in San Francisco, Berkeley, Sacramento, Portland, Seattle, Mexico City and London.